Lawmakers in Uganda have voted to maintain a controversial tax law expected to be implemented later this year. The ruling National Resistance Movement, NRM, dominating the chamber, voted 136 against 101 votes to maintain the tax on mobile money and social media service. 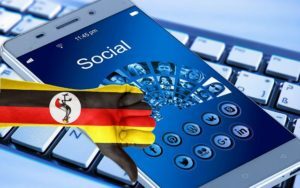 Ugandans pay a daily UGX200 tax to access social media platforms. Some platforms affected by the tax include Facebook, Twitter, WhatsApp, Google Hangouts, YouTube, Skype, Yahoo Messenger. The scheme implemented by telecom companies since July 1, has met angry opposition from users, some of whom have turned to virtual private networks (VPNs) to evade the fee while others have joined sporadic street protests. President Yoweri Museveni, at a point ordered a reduction of the initial amount imposed. Data costs in Africa are already among some of the highest in the world, according to the digital advocacy group, World Wide Web Foundation. Uganda has about 23.6 million mobile phone subscribers, 17 million of whom use the internet. Activists say the new tax will keep people, already struggling to make ends meet, off the internet. Posted by Steven Addamah on October 3, 2018. Filed under Zoom. You can follow any responses to this entry through the RSS 2.0. Both comments and pings are currently closed.